Plus his thoughts on album cover art and advertising. 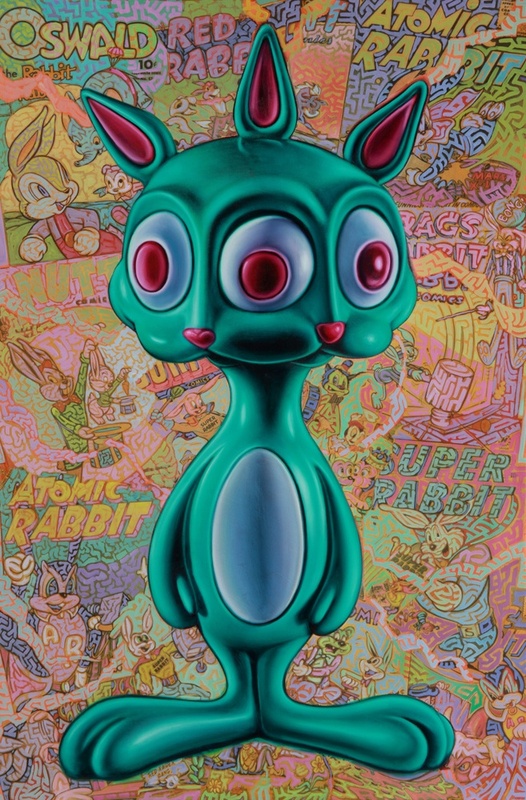 World-renowned American artist Ron English is one of the most celebrated and recognizable living artists of our era. The 56-year-old has explored the realm of pop art and gluttonous consumerism through paintings and images that have permeated the mediums of film, books, television, and album art. 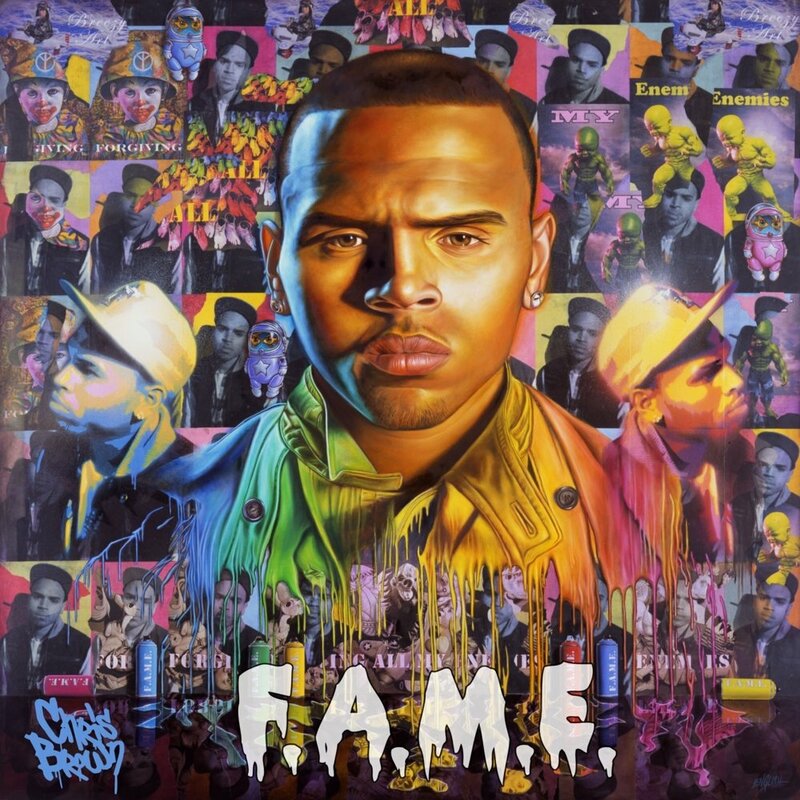 English’s cover art has graced albums ranging from Chris Brown’s iconic F.A.M.E. 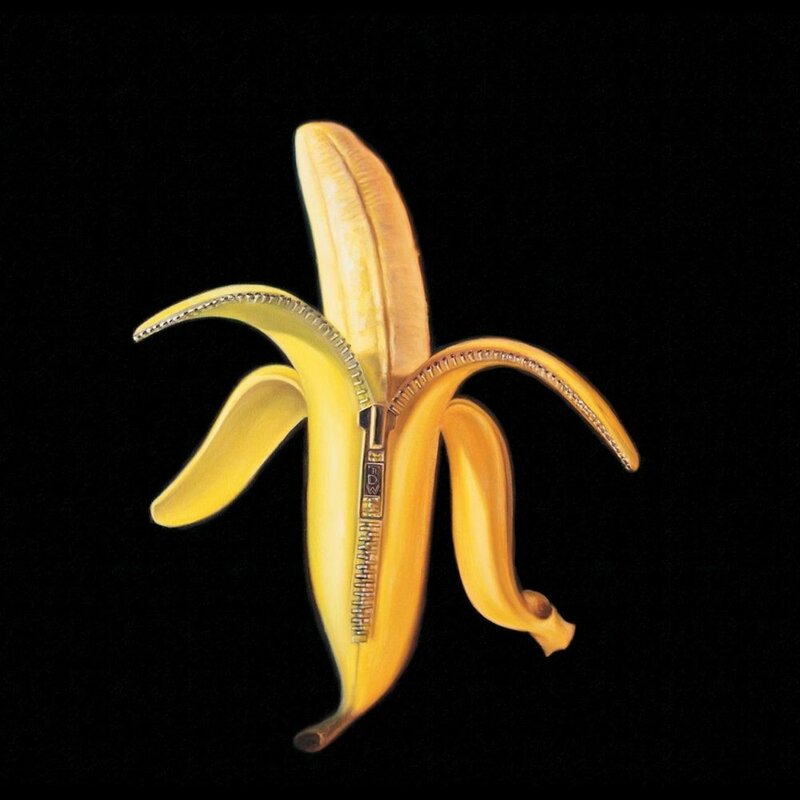 to multiple album covers for the Dandy Warhols. His paintings have appeared in This Is the End and Movie 43 as well as Super Size Me. English has also guest-starred on an episode of The Simpsons. Recently English teamed up with High Times for POPaganja, a pop-up show in Brian Wood’s New York boutique The Wood Shoppe that he describes as a “bodega” of cannabis-themed pop art and images. It runs through Nov. 8. MERRY JANE connected with English to discuss the show, marijuana merchandise, prohibition, advertising, and the state of album cover art. MERRY JANE: You call your pop surrealism style POPaganda. What was the original thought behind that? 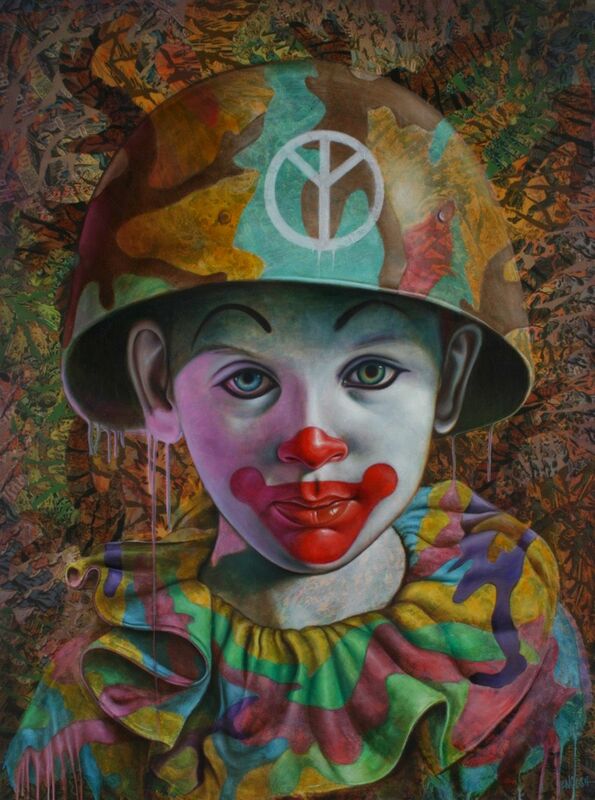 Ron English: I coined POPaganda in the late ’80s to describe an approach to art that addressed the prevalence of propaganda in advertising, politics, and in the art world, juxtaposed with the concept of individualistic free expression. What are some of the ways pop art influences the masses? Advertising is the ultimate pop art. It is the most influential art form and is the least rebuttable artistic expression. One of the ways you’ve gotten your message across is through culture-jamming. Have we been trained to accept products because of their packaging designs? Packaging and branding are actually advertisements that contain the product or are part of the product. Package design is the manufacturer’s last chance to pitch the product before the consumer makes the decision to buy or pass. Putting an alternative narrative in that space can have a lot of impact on the consumer, and is an easily attainable act of defiance. It doesn’t require the same risk as hijacking a billboard. When did you first get into street art? I got into street art in my teenage years. The streets seemed to be the most logical place for art since that was where people actually were. How many times have you been punished for vandalism? I have been arrested more times than I care to remember. What is the purpose of POPaganja? POPaganja Cannabis Bodega is an L.E.S. storefront bodega that offers a vision of the world one year after the end of pot prohibition. Probably nobody else has imagined marijuana merchandise move vividly than you. Where do you see commercial marijuana in five years? Developers have a model of the building they intend to construct to sell the concept to investors and the community. People want to see what it’s going to look like. The idea of stocking shelves with post-prohibition products is a way of painting a picture of what things might look like after legalization. In five years I see it as being largely a non-issue. Like gay marriage, it will be accepted as a social norm, and all the social destruction fretted over will turn out to have been mostly nonsense. The boost to the economy and freedom from law enforcement oppression will be the most relevant consequences. A healthier economy and a more friendly relationship between citizens and law enforcement would be net positives in my opinion. The big losses will, of course, be the private prison owners and the drug cartels—two groups I can muster little sympathy for. Five years ago, you created POPaganda ads for Prop 19. Do you support Prop 64 legalizing recreational cannabis in California? What can you tell us about your recent show featuring your “Guernica” paintings at the Allouche gallery in New York City? I have used Guernica as a template for a number of years now. The pose is so recognizable and the meaning so universally known that it provides an accessible backstory for more contemporary themes. For those who are unfamiliar with your fictional characters, like Abraham Obama and MC Supersized, how would you describe them? MC Supersized is that clown who actually believed fast food was good for him. He has unwittingly become the mascot for healthy food choices. Temper Tot is the immature id of a powerful nation. Cathy Cowgirl is the poster child for BGH [bovine growth hormone]. Graham Snapper the slow witted protester of planned obsolescence. The Combrats are the clown soldiers of the media-nurtured generation. Ronnie Rabbit is the neurotic mascot of information overload. Your album cover art is well-known. Are album covers a lost trade at this point? Yes and no. They mostly exist as small jpegs on the computer screen, but they exist on a small scale as traditional albums and also as large-scale backdrops for the bands. I would like to see the bands I work with develop a poster market for this imagery so the fans can have a more profound relationship to the art. What’s next for Ron English?